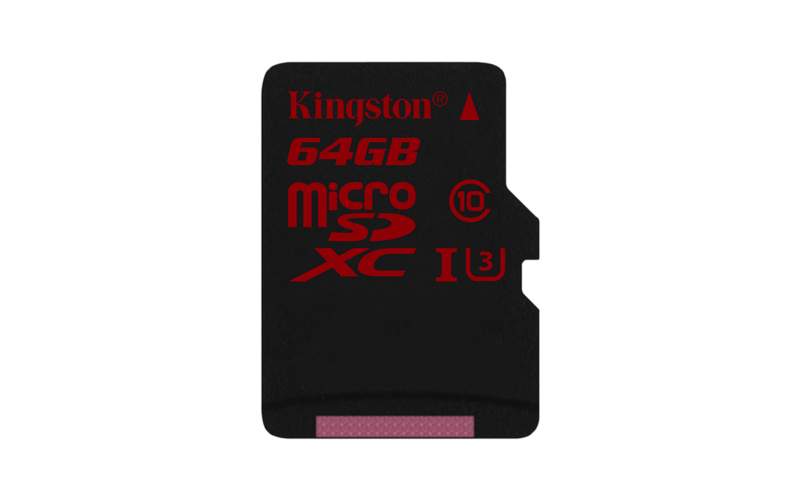 For the latest and greatest action cams or even cellphones like the Note 4, microSDXC cards are essential. 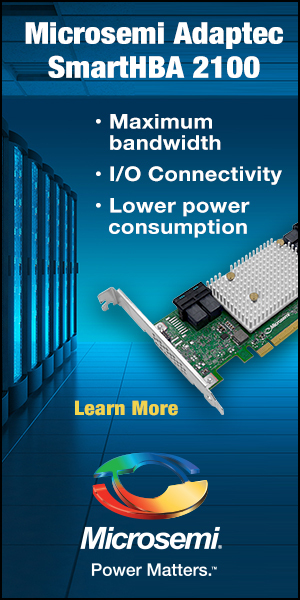 With 4K video output becoming a norm and high bit rates following it, flash memory with high write speeds is in great demand. Typical UHS-I U1 cards may not be able to keep up, that is where UHS-I U3 cards come into play. 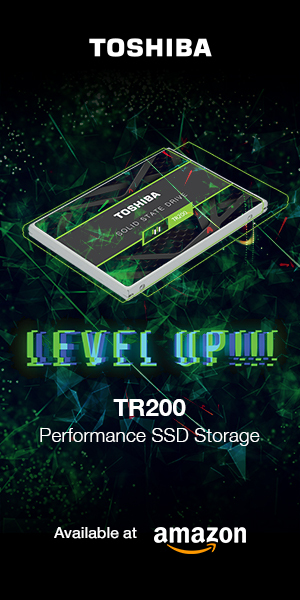 The U3 designates a minimum write speed of 30MB/s, plenty for most 4K video recording. High read speeds also allow for faster file transfer time from the card to PC. The faster you can copy all your media the faster you can get to work and share. 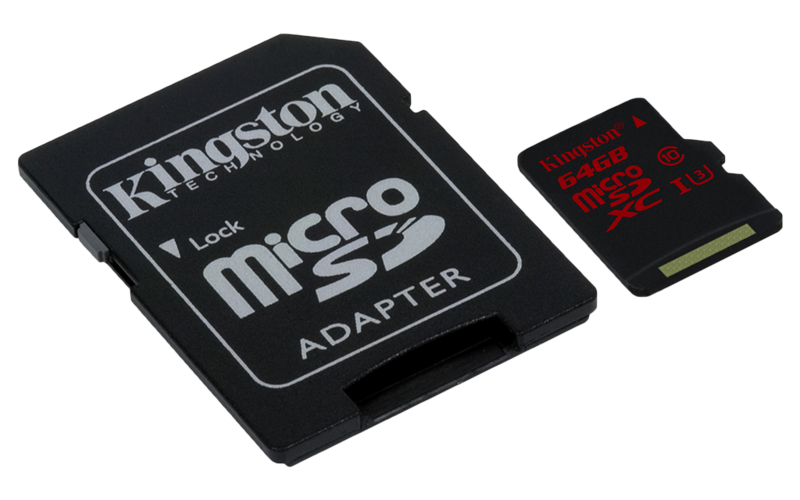 The Kingston SDCA3 microSDHC/SDXC UHS-I U3 card is a tiny memory card with a lot of speed. It has been designed for 4K video capture in mind. Read and write speeds are well above its U3 rating at 90MB/s read and 80MB/s write. Let’s take a closer look and see if it can really perform as advertised! The card comes in a blister packaging. 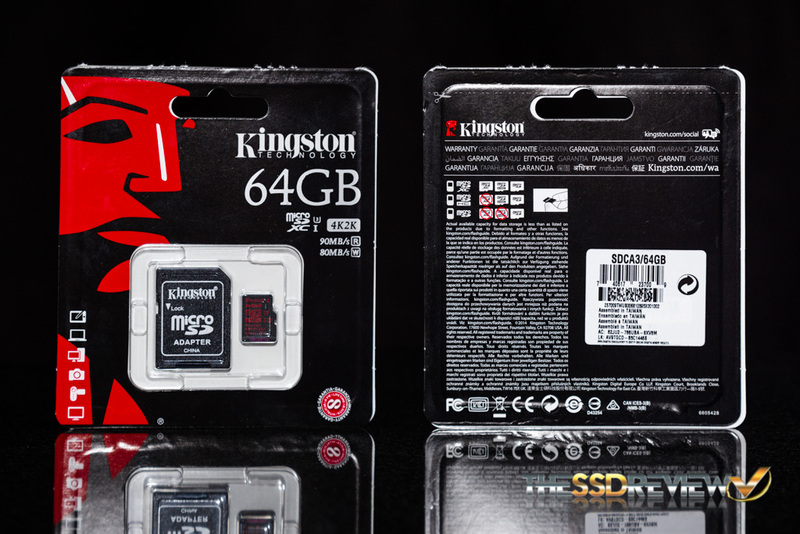 The packaging follows the same layout as Kingston’s other SD card products. On the front we can quickly see what is included, the card itself and a microSD to SD adapter. This is great for those who will also be wanting to use the card in a DSLR or other camera with SD card slots only. The adapter also has a mechanical write protection switch on the side in case you need it. 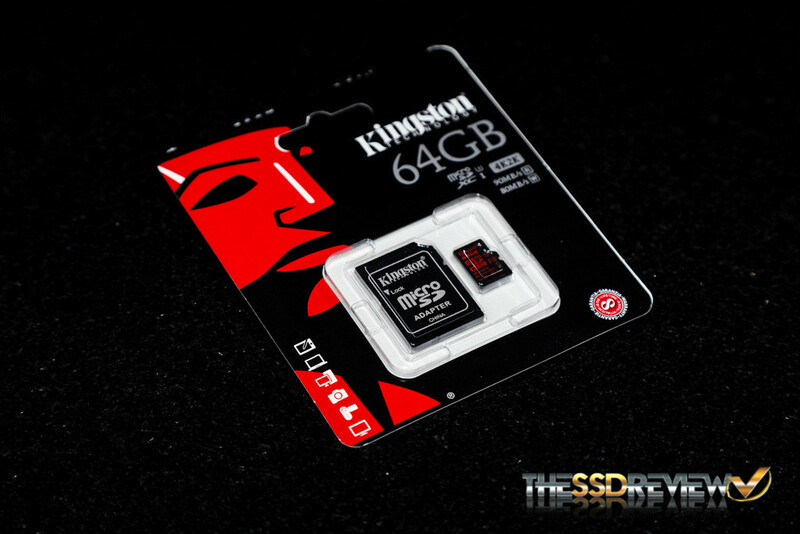 Capacities are available in 16GB ($20), 32GB ($28), and 64GB ($54). The 64GB model when formatted gives the user 59.7GB of usable space. The cards are waterproof (30 min @1 meter), shock proof, X-ray proof, and temperature proof (-25°C to 85°C). So basically, it can take abuse from some of the toughest conditions. It is compliant with all SD Association specifications. It is also compatible with microSDHC and microSDXC devices. And it comes with a lifetime warranty and free technical support. 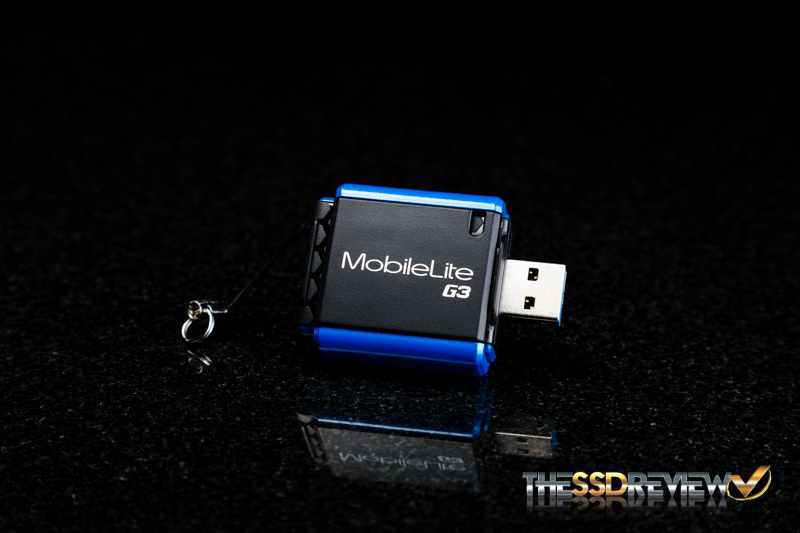 To connect the microSDXC card to our computer we have the Kingston MobileLite G3 USB 3.0 card reader. It is a compact and simple plug-and-play card reader that allows for USB 3.0 transfer speeds for any SD / SDHC / SDXC and microSD / SDHC / SDXC cards. It is a pretty good buy especially at only around $10 and will allow us to test the flash card at up to its max rated speeds. Interesting stuff , I was also amazed to see the card labelled microSDHC when its capacity is shown as 64GB . Its the first time I have seen this , what file system did the card have ? Yeah, the whole first lot has the misprint! It is pretty cool having a collectors item now! Are those random write speeds good? They are okay, they aren’t anything special. The photos show two different colour strips on the bottom edge of the cards – red/pink on one and yellow/green on the other. I have also seen this on other websites with no explanation. Do you know the significance of the two different colours – are they different cards with different specs as the writing on them is the same? How much do the read/write speeds differ when using an SD adapter?